This basic level course is designed provide an understanding of how to operate as a criminal analyst (2B) as specified in NGR500-2/ANGI-10-801. This course provides basic instruction of how to conduct criminal analysis in support of Law Enforcement (LE) as described in Mission 2b of NGR 500-2/ANGI-10-801. 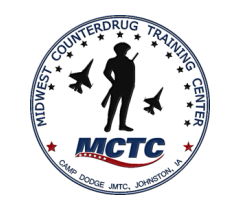 Attendees should be Soldiers/Airmen requiring an orientation and familiarization of basic individual and collective tasks required to provide effective criminal analysis in support of a Drug Taskforce. Criminal Analyst Course (Phase 1 Criminal Analyst Specialist Course) is a 5 day (40 hour) course.